We should have seen this coming. Amazon has announced "Just Walk Out" technology, which will power the future of brick-and-mortar shopping if it catches on - and really, how could it not? Let's back up. Amazon Go is roughly 1,800 square feet of retail space that allows shoppers to use their Amazon Go app as admittance into the store (like a subway turnstile), where they can pick up any item(s) they want and walk out of the store without talking or transacting with anyone (watch the video). 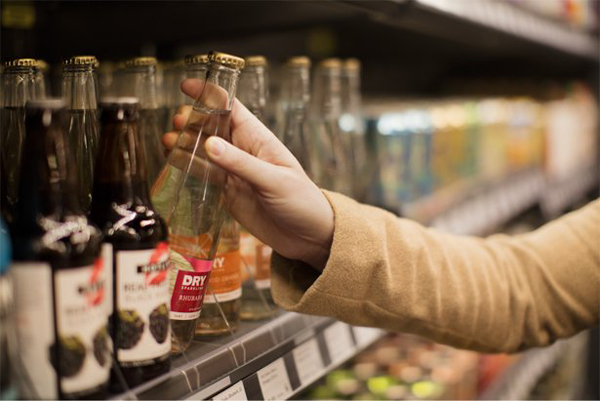 The Just Walk Out technology automatically detects when products are taken from or returned to the shelves and keeps track of them in a virtual cart. When a person is done shopping, they can just leave the store. Shortly after, their Amazon account will be charged and they'll receive a receipt (kind of like Uber in that regard where no money is exchanged with the driver himself/herself). Amazon Go is currently open to Amazon employees in the company's Beta program, and will open to the public in early 2017. It's currently a real experience with a real address (2131 7th Ave, Seattle, WA) though. These "smart shelves" have been around for a while. 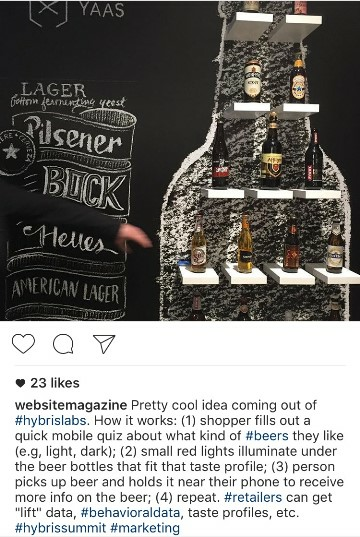 SAP Hybris, for instance, previewed its working model of this concept at its annual user conference this year. When people pick up a beer bottle (as the technology was set up for this example) and place it near their phone, they are given a profile of their choice. To get personalized suggestions, they can even fill out a mobile quiz prior. Some of the smart elements of this idea (and Amazon's) is that more and more people want to help themselves, whether it's making an appointment online themselves, looking to question-and-answer technology to find answers themselves, accessing a customer portal to find information related to them or any other scenario, customers want to get things done without brand intervention (because if they're involved, something has likely gone wrong). Amazon Go takes this trend 10 steps further and will likely corner this market (pun not intended) for years to come as many, many grocers are far behind with their technology as it is. Amazon is uniquely positioned to create the system that can make order data, transaction information, payment processing, inventory control, mobile technology and more all work together in a seamless way. What's more, Amazon can now have an incredible 360-view of a customer with a person's everyday habits like picking up a veggie sandwich for lunch becaues they work nearby and then going home to push their Dash button to refill their laundy detergent while shopping for gifts for whomever.